Lucy Walker‘s The Crash Reel opens at the TIFF Bell Lightbox on Friday, December 13th. You could be forgiven if you assumed The Crash Reel wouldn’t be essential viewing upon first glance – maybe you’re not all that interested in snowboarding, or sports documentaries in general. It would be unfortunate, though, for potential viewers to allow themselves to skip over The Crash Reel – the latest documentary from filmmaker Lucy Walker (Waste Land, Devil’s Playground) – as it’s certainly one of the best films I’ve seen all year, documentary or not. The film’s principal focus – professional snowboarder Kevin Pearce – was once the biggest young star in the sport, second only to Shaun White. As the film opens, we see Kevin and Shaun go from childhood pals and friendly competitors to absolute enemies as they vie for billing as top snowboarder in the world with the Vancouver Winter Olympics quickly approaching. 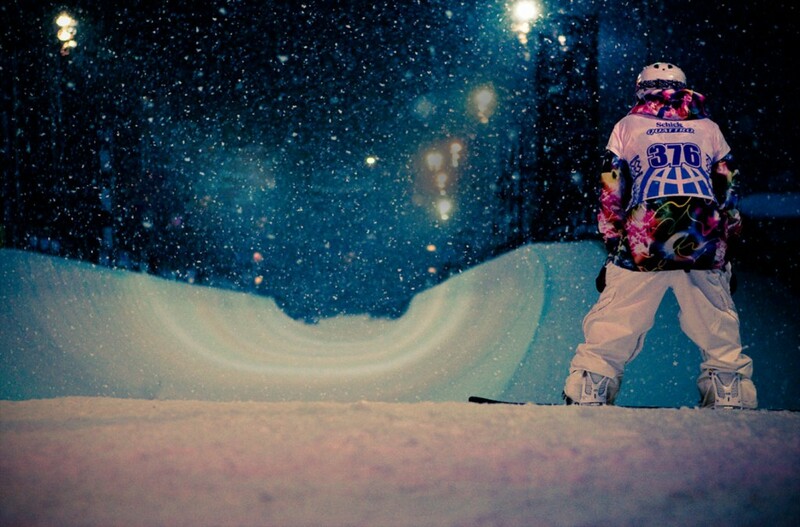 As pressures from spectators and the media mount, new and exciting advances are made in the industry of pro-snowboarding – including bigger half-pipes, which lead to scarier and more technical tricks. While attempting a cab 1080 double cork on a training run in 2009, Pearce caught the edge of his snowboard as he landed and suffered a brutal accident that sent him to the hospital and changed his life forever. Walker’s film from here on out takes a multifaceted approach to Pearce’s life – not content to chart your average rising phoenix story, instead Walker splits her focus on a number of fascinating aspects of his story. 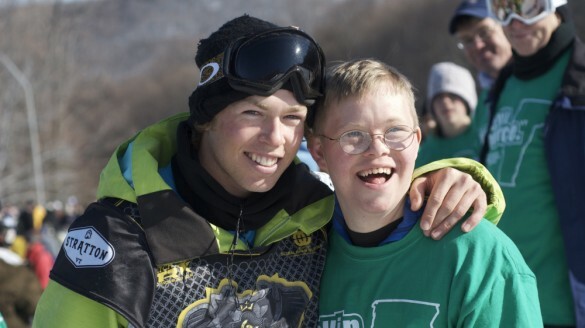 Equal time is given to Pearce’s family as well as other external forces – in particular his brother David, who suffers from Down Syndrome and is attempting to express his own worry for Kevin. The film also touches upon the responsibility of the sports industry and the overall issue of head trauma, not only in snowboarding, but in other sports as well. There’s a real struggle between Kevin and his family in the wake of the harrowing recovery footage – when Kevin is released from the hospital he quickly becomes cocky about his ability to return to the sport that he loves so much. It’s absolutely frustrating and emotionally tough to watch these scenes where David and the rest of Kevin’s family tearfully express their feelings for his safety, while he asserts that he will be back on his board as soon as he can. Walker’s film shines in these scenes, for reasons that surprised me. A lesser film wouldn’t allow those moments – where you really do not connect with Kevin at all, and even come to dislike him at some points. Having followed Kevin’s family through the aforementioned scenes of recovery, it’s hard to accept his decision knowing what he’s put his family through. On top of this, Kevin’s accident has left him unable to control some of his emotions – becoming irrationally irritable and harshly blunt at times. These are all symptoms that befall many victims of intense head trauma, we find out. On top of all this, Kevin is more at risk than ever having suffered as bad a blow to the head as he did – something that becomes frighteningly clear when Walker follows Kevin’s visit to a fellow snowboarder who suffered from more than one head-related accident. It’s this depth of The Crash Reel‘s narrative that makes it such an affecting viewing. Kevin Pearce’s story is not an anomaly – a point that the film makes with its shatteringly effective detours – and while the film does at times question where to place responsibility, it does not offer any easy answers. As the film ends, Kevin has made a staggering transformation out of the recovery stage of his life, but it’s not the change that many would expect after seeing the trailer’s promise of an uplifting sports narrative; ultimately The Crash Reel is a much more challenging and fulfilling film than that. When Kevin emerges out of the hospital, he realizes that professional snowboarding did not press pause in the way his own life did. Shaun White – and the industry itself – has advanced by leaps and bounds; the trick that almost ended Kevin’s life, the cab 1080 double cork, is being strung back-to-back in many half-pipe competitions. With this kind of pressure and advancement of industry, it’s no wonder that these kind of head traumas are more and more likely to end in fatalities. It’s in this way that The Crash Reel serves as not only a celebration of the sport and its athleticism, but also a question of how far is too far in the face of the fragility of the human body? It’s no a surprise that The Crash List made the Oscar long-list for this year; it’s definitely a worthy addition that hopefully makes it to the short-list of nominations – as it is an incredible film that should be seen by as many people as possible, in my opinion.